I am a graduate of the Clinical Mental Health Counseling MA Program at Goddard College, with a Concentration in Expressive Arts Therapy. Currently, I see individual clients and offer Expressive Arts and Meditation groups at the Center for Integrative Health (CIH) in Hanover, NH. I also coordinate Community Programs at CIH, including an ongoing Friday evening speakers' series for the Upper Valley therapy community and the general public. Clinical Mental Health Counseling encompasses a number of approaches that unite the analytic (right-brain) and intuitive (left-brain) capacities of the client, in order to bring healing to the whole person. I am currently a pre-licensure Clinical Mental Health Counselor, registered with the NH Board of Mental Health Practice, under clinical supervision with a Board-approved Supervisor. Expressive Arts Therapy is an intermodal approach that invites spontaneous creativity as a way of accessing strengths, resources, and insights that may lie outside the client's everyday perceptions of themselves and their life-situations. Working with visual arts, movement, sound, writing, and visualization, I help clients re-discover their wholeness, playfulness, power, and resilience. Since we are working with innate capacities that are part of your birthright as a human being, you do not need to "be an artist" to benefit greatly from this kind of therapy, which is effective with children, teens, adults, and elders. 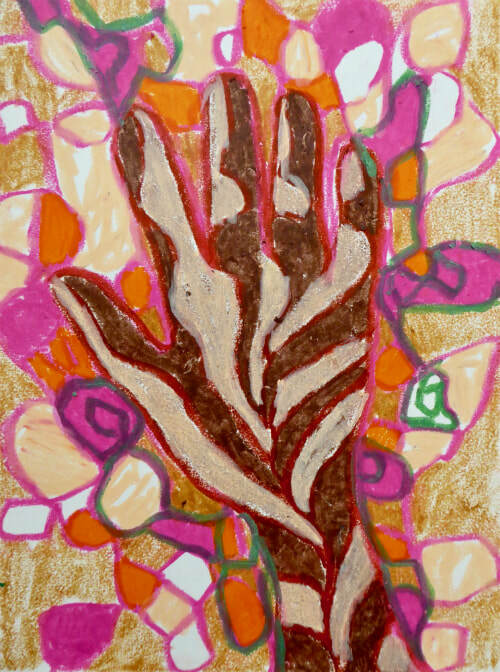 Click here for more information about Expressive Arts Therapy. Somatic Experiencing (SE) is a trauma-resilience modality that works with the present-moment experience of the body, the client's own embodied resources, and the supportive presence of the therapist in order to release held patterns of fear and pain, and re-set the client's nervous system to a healthier baseline level of activation. As an SE trainee, I take great care to work at a level that is manageable and effective for my clients, and to teach repeatable skills that clients can access on their own. Click here for an informative article about Somatic Experiencing. When meditation is approached with superficial goals of relaxation, stress-reduction, quiet and calm, we miss the opportunity to encounter the fiery heart of our being, the source of our courage, grounding, intelligence, compassion, and capacity for right action. Meditations for Resilience and Resistance (MRR) sessions draw from traditional Buddhist shamatha frameworks (calming and focusing) as resources, and from there, journey wisely into fierce energies of awakening. Sessions may include expressive arts components (drawing, writing, movement) to help integrate new insights and experiences. MRR meets weekly on Thursday evening, from 6:15-7:30PM, at the Center for Integrative Health in Hanover, NH (see below for location). I see clients on a private-pay sliding scale, according to their capacity to pay. I do not currently accept insurance for my services. Please contact me for more information (see below). I am committed to providing a safe space for clients of all backgrounds, ethnicities, genders and sexual orientations. All are welcome here.